Gespage Web-Payment is an optional module of Gespage. It is designed to make accessible Gespage accounts reloading via a customized and secured Web page. The application must be installed on a Windows or Linux print server hosting the Gespage solution. Several reloading amounts proposed at degressive tariffs. Secured payment via a dematerialized payment gateway (Ingenico ePayments gateway or PayPal). 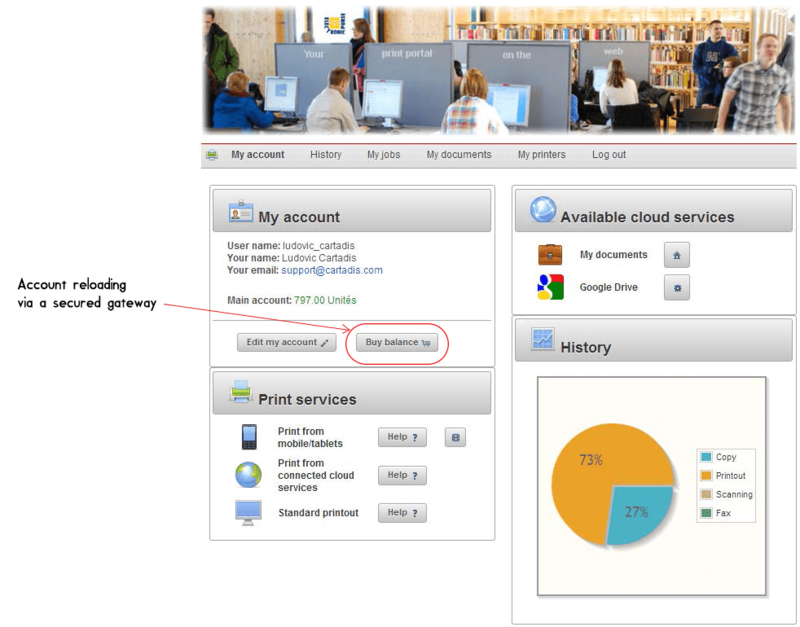 Once the user connected, his homepage displays the information about his account and gives access to the reloading service.